Does it feel like meme accounts are taking over your social media feeds? The format is everywhere these days, including Instagram, where accounts like Kale Salad and Daquan have amassed millions of followers and become brand names. While these accounts seem silly and aimless, like that goofy stoner from your high school, many are actually strategic and successful—like when that stoner grows up to be Steve Jobs. Here are a few marketing lessons you can learn from the dankest meme accounts on Instagram. 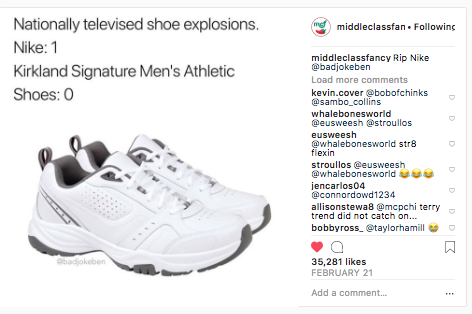 Instagram captions drive engagement when they’re done well, and this is an area where meme accounts succeed. Their captions tend to be short and simple, which make them easy to read even while scrolling through the feed. Brief captions are also always fully displayed, which means users can take in the whole post without clicking out of the feed. Meme captions also often adding another layer to the joke in the photo or video. Many accounts use longer text to tell stories or connect with followers, with some even sharing blog-like content in their captions. While long captions can be effective, they also require more investment from your audience. Meme accounts prove that short captions can work just as well for engagement. This seems inherent to the concept of a meme, which is defined by its popularity. But meme accounts excel at turning obscure or niche source material into an accessible, widely appealing joke. For instance, @classic.art.memes combines fine art pieces with relatable captions. Even if you don’t know much about art history, you can still laugh at this post. That doesn’t mean that you should try to appeal to everyone and create the broadest possible content. But all brands should think about who their target audiences are, and ensure that they’re making content that speaks to their interests and knowledge. The meme aesthetic is instantly recognizable: usually familiar images or goofy photos, with text overlaid or above the image. Sometimes they’re just text, or screencaps from Twitter or Tumblr. But whenever you see one, you instantly know it’s a meme. The recognizability of meme posts proves that consistency is important in building your brand on Instagram. Ideally, you want your followers to know they’re seeing a post or Story from you before they even check the account. 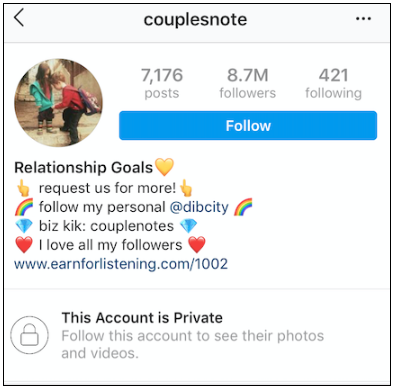 Some meme accounts are now applying a more typical “Instagram” aesthetic, resulting in a hybrid style: meme-and-theme accounts. They’re like beautifully-wrapped gag gifts, and are especially popular among teens. Meme-and-theme accounts also suggest that some creators are looking to stand out from their fellow meme-makers by cultivating a more distinctive look, something a little prettier than Lisa Simpson and her coffee. Meme accounts definitely have mass appeal, but they’re also targeted to a particular audience. Broadly speaking, it’s Millennials and Gen Z-ers who spend a lot of time online, consume a lot of media, and have a sarcastic sense of humor. But meme accounts also carve out distinct identities that align with their audience. @mytherapistsays riffs the challenges of “adulting” for women with memes about work and relationship anxieties, while @journal skews to younger teens (but still female). Some are more niche: @jakesastrology makes memes for astrology lovers, which are a surprisingly large demographic. While some meme accounts are managed by businesses (@journal is one), most became popular because they are making content for their peers, who had similar senses of humor and pop culture tastes. This authenticity helped them avoid the “How do you do, fellow kids?” awkwardness that arises when corporate brands try to sound like teens. That doesn’t mean companies can only successfully reach audiences who are just like them—but it does mean that real understanding is necessary for connection. If you ever get deja vu scrolling through your feed, you’re not alone. Photos on Instagram are starting to look the same, thanks to the power of visual trends. This helps them stand out even from posts with similar content. 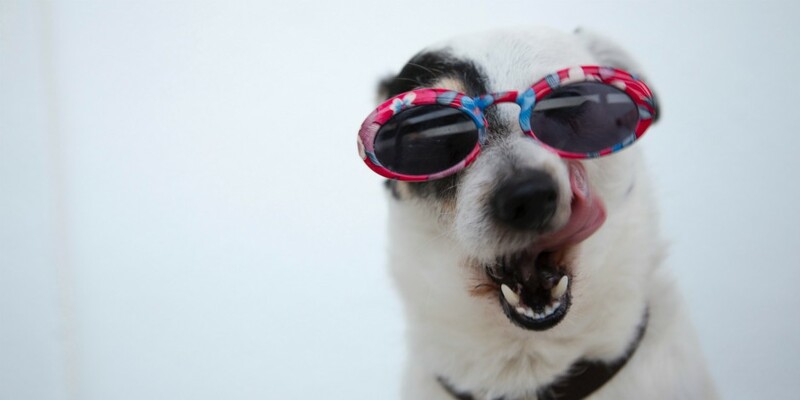 You’ve probably seen a million cute dog photos on Instagram. But how often do you see one like this? A windblown beach dog may not make sense for your brand, but the lesson applies: standing out from the pack can pay off. Every brand wants their content to spread. Most try to achieve that through quality: great blog posts (hello! ), pretty images, informative newsletters. But meme accounts mostly rely on accessible, immediately recognizable silliness. I CANT EVER UNSEE THIS. Had to share. Their jokes work because they’re relatable, and they draw from a well of popular culture that most of their followers understand. Almost 75,000 people liked this post from @daddyissues_ because Friends and Nicolas Cage are common cultural ground. In addition to racking up positive engagement, this is also a smart strategy for audience growth. The comments on meme posts are filled with users tagging friends who will also find them funny. Those friends are likely to hit follow once they’re finished laughing. A constant struggle for brands is how to ensure their audience sees their content. This has long been an issue on Facebook, where organic engagement has declined sharply. Many expect the same thing might happen on Instagram eventually. There are plenty of tips for increasing your organic engagement on social media. But some meme accounts are using an ingenious and surprising tactic: making their accounts private. Private accounts are exclusive by nature. This triggers FOMO among Instagram users on the outside, who naturally want to find out what they’re missing. With a public account, you’re less incentivized to follow because you can check their feed at any time. But with a private account, you need to opt in. As a result, new followers are excited when their request to follow is accepted, while existing followers get to feel special for being on the inside all along. It builds a sense of loyalty and community, which reinforces engagement. It might surprise you to know that meme accounts can (and do!) post sponsored content. With their huge, highly-engaged audiences, they’re desirable partners for brands. What’s more, they do sponsored content really well. Their sponsored posts always fit into their overall content strategy. That’s because meme accounts are skilled at identifying partners who fit with their values. And since meme accounts post so frequently, the sponsored content never dominates their feed. Instead, they offer a good balance of original content and the occasional ad. Meme accounts are always on top of pop culture in part because they’re small operations— often run by a single person— which means no marketing team having to review and sign off on each post. The takeaway? Be nimble and run lots of tests on your content. It’ll help you learn what your audience likes, and you might even catch that next meme wave before it’s over. More than ever, brands are open and communicative with their audiences. Customers expect authenticity and transparency from companies in exchange for their loyalty. And many brands have found success by adopting increasingly casual and familiar tones on social media, like Wendy’s infamously sarcastic Twitter. This is another area where most meme accounts have taken the opposite approach. They’re largely anonymous, and in some cases their secrecy has only made them more interesting to fans. @daquan acquired millions of followers while concealing his identity (which has since been revealed). There’s so little mystery left on the Internet. Even the people running brands are as influential as the brands themselves (the Jenna Lyons effect). So it makes sense audiences would find an enigma compelling. It’s not possible (or even a good idea!) for companies to try and mimic this strategy. But it’s worth remembering, when launching a new campaign or product, that a little mystery goes a long way.